The 23rd annual Run Walk N Roll returns to St. Joseph’s Hall, Boyle at 3pm on Sunday 21 October. The 5.4km event has raised over €165,000 for cancer research over the past 22 years and this year's theme is 'We Won't Give Up Until Cancer Does'. The Run Walk N Roll is open to runners and walkers of all abilities, with cancer survivors from all generations taking part in the event through the streets of Boyle. Local cancer survivor Pearl Anderson has been taking part in the walk since it began as the Terry Fox Run back in the 1990s. But the event has taken on special significance for her after being diagnosed with breast cancer in 2001. The cancer, which affects over 3,100 women in Ireland each year, was detected following a mammogram, after which Pearl was sent for a biopsy, swiftly followed by surgery. She had to make the journey from Roscommon to Dublin by train for treatment, but says she is “very conscious” of how well she was looked after there. Following her successful treatment, Pearl continues to take part in Run Walk N Roll each year. Having spent time sitting in chemotherapy units and in waiting rooms awaiting test results, she feels it is wonderful to be able to get out and take part in the walk, “rather than sitting in that room not knowing what you’re going to be told”. “It’s great to be able to do it,” she says. Another local cancer survivor, Michael Reynolds from The Bazaar café on Bridge Street, is taking part in the Run Walk N Roll for the first time this year, having been diagnosed with breast cancer in 2016. Over 40,000 people receive a cancer diagnosis in Ireland each year and the Run Walk N Roll is an important opportunity to raise cancer awareness. Michael has been speaking out about his experience with breast cancer, which affects a small number of Irish men each year. “It lifts your heart when someone stops you and says, ‘I heard your story and I checked myself, or I told someone else to get themselves checked.’ If one person can do that for someone else then everything is worth it, because you don’t know when you’ll make a difference,” he says. Run Walk N Roll organiser Damian Regan says the event is one that young and old can take part in together because, unfortunately, both generations can be affected by cancer. Damian’s youngest brother was diagnosed with leukaemia when he was just 3 years old in the early 1980s. Damian spent time in hospitals in Dublin and Galway while his brother underwent treatment, and has never forgotten the other young children he met there. “I often wonder how they are now,” he says. “That impacted on me.” His wife also lost her brother to leukaemia at a young age so they both had experienced cancer at a young age in their lives. Damian’s brother made a full recovery but it sparked an interest in cancer research for Damian and he organised Boyle’s first Terry Fox Run in 1995. Terry Fox was a young Canadian forced to have his leg amputated following a cancer diagnosis. But the 22-year-old was determined to walk across Canada to raise funds for cancer research and ultimately walked over 5,000km before passing away in 1981. Since then, Terry Fox Run events have raised over €650million for cancer research across the world. Terry’s legacy inspired Damian, “His determination in his own illness, in trying to help others”, and he stresses the importance of research for cancer patients. While more people are being diagnosed with cancer, thanks to research breakthroughs cancer survival rates have doubled over the past 40 years. With support from his wife, daughters and the local community, Damian’s Run Walk N Roll is approaching its 25th anniversary in 2020. This year’s event on the 21st of October is in aid of the Irish Cancer Society and all funds raised go to cancer research. Entry is on the day and refreshments will be served afterwards. For more information and sponsorship cards, contact Damian Regan on 086-3942388 or see Run Walk N Roll on Facebook. Best wishes to Michael and Aideen in the Bazaar coffee shop who are holding a coffee day in aid of Breast Cancer "Cups against Cancer" in their cafe which will take place on Friday the 26th of October. Please come along and support them. Yeats win 5-4 on Penalties. 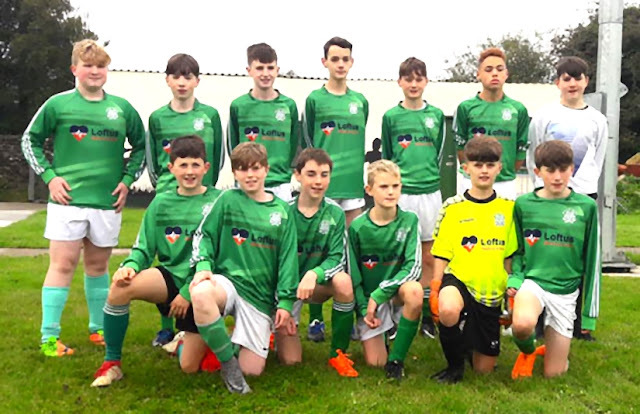 Boyle Celtic U-14’s exited the Connacht Cup at the First-Round stage following a defeat on penalties to Yeats United on Saturday morning. The away side made an ideal start as a deep cross was headed in. One became two a matter of minutes later as another header from a cross found the back of the net. ‘Celtic were awarded a penalty on thirteen as Jude Richardson was fouled in the box after darting down the wing. Cian Carty tucked away the resulting spot kick. Brendan Kennedy levelled the contest as he lifted the ball over the onrushing goalkeeper on twenty minutes. The goals kept coming. Yeats regained their lead before Cathal McKeon found the net from outside the box. The Sligo town-based side scored their forth, following a tap in from close range. Half Time: Boyle Celtic 3, Yeats United 4. Both sides threatened to score at the beginning of the second half, however, both goalkeepers, in particular ‘Celtic netminder Shane O’ Dowd dealt with everything thrown at them. Boyle’s patience was rewarded after an hour as Tommy Walsh fired home. Walsh got his second and Boyle’s fifth with nine minutes remaining. The cup tie was not over as it became five apiece right before the end. Full Time: Boyle Celtic 5, Yeats United 5. There was nothing of note in extra time which resulted in a penalty shootout of which Yeats United came out on top: 5-4. Boyle Team: S. O’ Dowd, L. Callaghan, D. Butler, M. Carroll, F. Martin- Nolan, C. McKeon, C. Carty, B. Kennedy, R. Newell, J. Richardson, T. Walsh, G. Murray. Boyle Celtic made it two wins out of two in the Roscommon & District Soccer League Premier Division with a resounding six goals to one victory over Shiven Rovers at Celtic Park on Friday evening. After a scrappy opening, the home side broke the deadlock. Danny Brown slipped through Mick Corrigan, to fire pass the keeper. ‘Celtic doubled their lead soon after, as a defensive mix up in the Shiven defence, ended up in the back of the net. Goals three and four were scored in quick succession. First, Aaron Calpin finished a brilliant team goal. A matter of minutes later, Shane Battles ran from his own half and set up Corrigan, who netted for the second time. The away side scored a consolation after thirty-five minutes as a mix-up in the Boyle defence resulted in the ball finding the back of the net. Aaron O’Connor’s side reacted perfectly, restoring the four-goal margin within a matter of minutes, as Shane Battles added his name to the scoresheet. The second half was a quiet affair, with the main highlight substitute Niall O’ Donoghue’s thumping finish to put the result beyond doubt. Boyle Celtic Team: C. Casey, D. Carlos, J. Connolly, L. Conboy, C. Brennan, D. Hughes, S. Battles, D. Brown, A. Calpin, L. McKillen, M. Corrigan. With: C. Tivnan for Carlos (Half Time), N. O’ Donoghue for Calpin (Half Time), L. Roddy for McKillen (53 mins), M. O’ Connor for Hughes (63 mins), G. McDermottroe and J. Bolger. 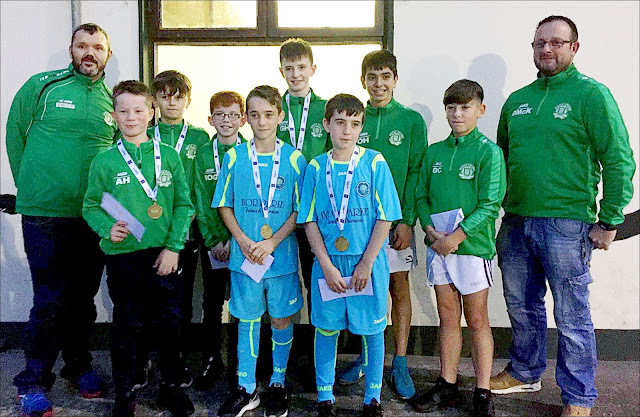 *A special presentation was made to Aughanagh U13’s Futsal Community Games Team in recognition of their brilliant achievement of becoming All Ireland Champions prior to kick off. Six of the eight players play for Boyle Celtic’s underage teams and a presentation was made to all eight players. Congratulations to all involved. Boyle Arts Festival Committee says Thank You. Boyle Arts Festival 2018 was perhaps the most memorable and successful to date and the Boyle Arts Festival Committee would like to extend heartfelt thanks to all who helped make it possible. Once again, we received tremendous support from the people of Boyle - in terms of sponsorship, attendance of events, provision of venues, premises, voluntary help and of course that wonderful hospitality that welcomed the considerable numbers of visitors to the town. The Arts Festival is a serious undertaking for a voluntary committee of eight - this year’s Festival featured ten separate art exhibitions, seven workshops and 48 performance events, many of them sold-out in advance - spread over ten days! We would like to pay tribute to those who continue to support us in so many ways, year after year and without whom; we would undoubtedly have no Boyle Arts Festival. In addition to our local sponsors, who we encourage everybody to support, we must also acknowledge the support of the The Arts Council, Forás Éireann, Fáilte Ireland and Roscommon County Council. Publicity is vital to any Festival and we would like to thank all the local websites, regional and national newspapers and radio stations for the publicity and good will afforded to us, both before and during the Festival. We are deeply indebted to all of our local volunteers and helpers, who gave so freely of their time by helping at the ‘door’ during events, collecting and hanging artwork, assisting in the ticket office, distributing posters and programmes, assisting at the exhibitions and events, directing traffic, making vacant premises available for exhibition space and indeed helping out in any way. We must also extend a special word of thanks to Benny Morgan for volunteering to photograph every one of our events and allowing us to use his photos. A special thank you also to those in King House, the Church of Ireland, Boyle Abbey, St. Joseph’s Hall, Abbey Community College, Boyle Parochial School, Boyle Family Resource Centre, Daly’s Storehouse, Clarke’s Bar, The Open Table, Mattimoe’s, Dodd’s, Patrick’s Well, Druminilra Farm Kitchen, The Pleasure Grounds, and The Spool Factory for allowing us to use their venues. We must also extend thanks to Perpetua McGee of ‘Marians’ for providing her premises as our Festival office and to Thomas Gallagher and Mick O’Dowd for providing storage facilities. Thanks also to Boyle Musical Society for assisting with additional lighting and to Ciaran O’Connor of Trojan IT, for projection facilities. We are also grateful to Bank of Ireland Boyle and Boyle GAA, for making their car parks available to us during events and to An Garda Síochána for their assistance with parking. We must extend sincere gratitude to all those who travelled from near and far, to attend all of the events, exhibitions and workshops at Boyle Arts Festival 2018. Once again, we have been overwhelmed at the support we received, especially from the people of Boyle who turned out in greater numbers than ever. Almost every event had capacity audiences and several were even sold out in advance! We are truly grateful to the local and wider community, for all their support. And finally, we would also like to thank all the visual artists, performers and contributors who took part in BAF 2018 and especially all the local artists, who once again made this year’s Festival so special. Without them, Boyle Arts Festival would be incomplete and it is heart-warming to think that there is so much great talent on our doorstep! Plans are already underway for next year’s Boyle Arts Festival, which will run from July 18th to 27th 2019 and as this will be our 30th Anniversary, we are hoping to make it another fantastic and memorable experience - so why not put those dates in your diary now! Roscommon Intermediate Ladies v Meath in All-Ireland Semi-Final on Sat. the 25th. I have been reading and hearing about Roscommon Intermediate ladies thrilling victory over Laois last week-end in Moate. Apparently it was heart-stopping stuff. Team manager Michael Finneran (former Roscommon senior football midfielder) is quoted in the Roscommon People as follows “That was an unbelievable game. I don’t think I have ever been involved in a game like it. My nerves are shot at the moment. It’s hard to describe what happened out there”. Those sentiments have been re-echoed in the local sports pages accounts and by those lucky enough to have been present. I must admit I have not been at many ladies football games down the years though I remember being at an under-age one in Nenagh, Roscommon v Waterford, perhaps four or five years ago. One of the many stars of the team is Boyle’s Roisin Wynne daughter of Anne and Gary. The team now faces Meath in the All-Ireland Semi-Final in Hyde Park on Saturday the 25th at 1. So this is a real opportunity to see and support the team and I imagine many more Roscommon supporters will have been alerted by last week-end’s heroics and result and wish to be there on the 25th. So put it in your diary for that week-end. From heroics on the sporting field I move to a very different stage that being the stage of the Olympia Theatre in Dublin. Decadent Theatre Company from Galway is presenting Martin McDonagh’s (3 Billboards and all that) middle- of three- play ‘A Skull in Connemara’ is in the Olympia until Saturday September 1st. The lead actor is Pat Shortt and the Boyle connection is Jarlath Tivnan. • • • •While Pat Shortt may be one of the country’s finest and unsung actors (see The Garage) the tremendously energetic performance of Jarlath has been exciting the attention of the critics. While praising Pat Shortt’s restrained performance the theatre critic of The Irish Times, continues with; “However, it is Tivnan who steals the show with his explosive energy as Martin, swinging between baffled simplicity and psychopathy as he drives the plot on. Scene Three, in which he and Mick smash the skulls of the recently exhumed, is performed with an irreverent joy that you will, surely, never see anywhere else again”. 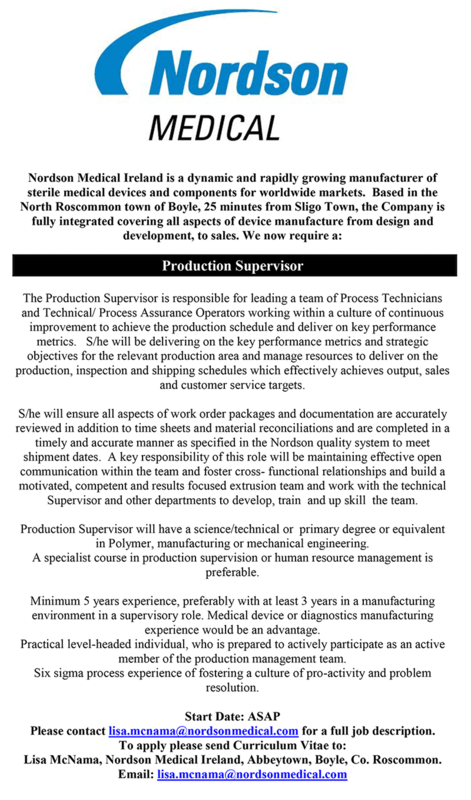 •So if you are from Boyle or its surrounds and live in the capital a visit to this production is worthy of consideration and maybe mention it here and there! Heritage Week Walking Tour of Boyle Thursday 23rd at 7. During the highly successful Arts Week I enjoyed taking two groups on a walking tour of Boyle. As part of Heritage Week I will be doing a similar ‘tour’ which is being promoted by Una Bhan. It takes place on Thursday the 23rd of the coming week starting at King House at 7. It is very surprising all the material that one can reference doing those trips. One continues to learn in this process so it will take a good while to reach the finished article. P.S. One of the locations I visit is the Plunkett Home area. This was where Boyle Workhouse once stood. I am surprised that no frontal photograph of The Workhouse has emerged apart from a picture taken by Mary Fallon of a portion of the building as it was being demolished. If anyone comes up with one a number of people would be very pleased to see it. Maureen O’Sullivan Remembered …Film from Videos of Her 1988 Return to Boyle. This month is the 30th Anniversary of the return of Maureen O’Sullivan to her native town of Boyle on August 7th/8th 1988. It was a really great event and still resonates. Her trip was extensively recorded on video by Donal Farrell and Michael Beirne for the visit’s Organising Committee. Brendan McGee is currently editing a film of Maureen’s visit from those videos. The quality is not perfect but pretty good. There will be a showing of this documentary covering the visit on Tuesday evening, August 28th, at 7.30 in the upper auditorium in King House. It will run for the considerable length of nearly 1 and a half hours. A section of the ‘film’ (I’ll call it for convenience sake) will cover a concert in The Royal Hotel on the Sunday evening of her visit in which many of the best of Boyle entertainers participated. The star of course was Maureen herself but the people of Boyle were outstanding ‘extras’ over that memorable week-end. Many of you will pop up in this ‘film’. Government Silence Deafening as 162 local Post Offices Begin to Close! Fianna Fail TD Marc Mac Sharry has heavily criticised the ‘deafening silence from Government on the closure of 162 post offices nationwide. It is 2 weeks since I first put the provisional list in the public domain. Since then 12 closures have already taken place while the majority will close before the Dail resumes in September’. Our grand marshal Tadgh Griffin who led the line brilliantly. Michael Gilmartin, Chantelle at Pure Flowers, The Ardcarne Garden Centre, Padraig Langan, Mike Smith Jr, Margaret's Cafe and Dermot Leydon, John Murphy and the Boyle Branch of Ex-Servicemen, Rachel Doherty, John Cummins, Luke Flanagan MEP, Michael Keville, Canon Hanley, Reverend Yendall, our judges, the mascots who kept the kids entertained, Sean O'Dowd and all local media, Bodo Funke and Gary Bernie, the County Council and An Garda Síochána, our stewards who helped out in the day and our main sponsors the Boyle Credit Union and the Boyle Chambers of Commerce and all the local businesses that helped us with sponsorship, we appreciate it greatly. We would also like to thank Maura Clarke, Eddie Creighton and Maire Paul Egan who helped and guided this new committee before stepping down. We would not have been able to run the parade this year had it not been for their excellent guidance and support. We hope to see you all next year! Oral Irish Leaving Certificate - Preparation available one to one. 2 hour intense tutorial covering everything you need to know. 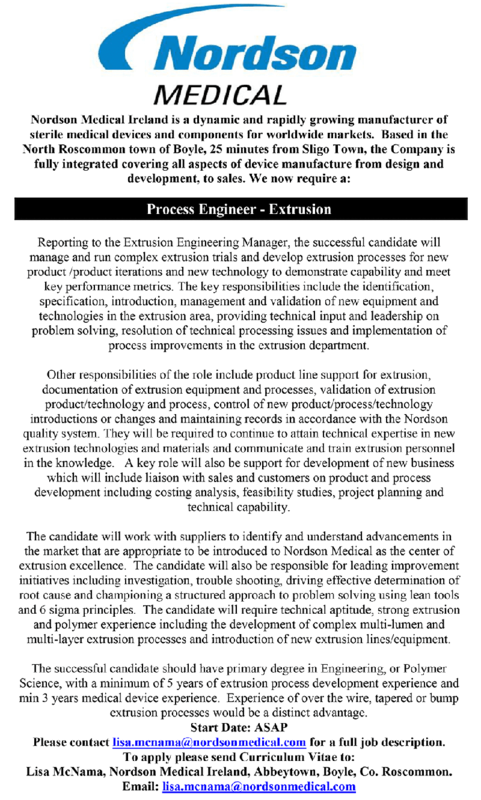 6 weeks, Running weekly from 21st of April until 27th of May. The skills needed for both paper 1 and 2 will be revised thoroughly. A number of history seminars will run covering Key Exam topics with sample essays provided over the next few weeks. • Please text or ring Máire on 086 329 2488 to book any of the above.